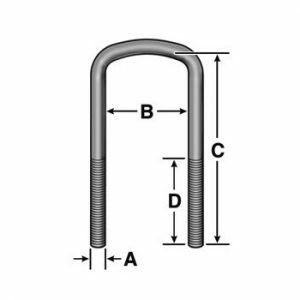 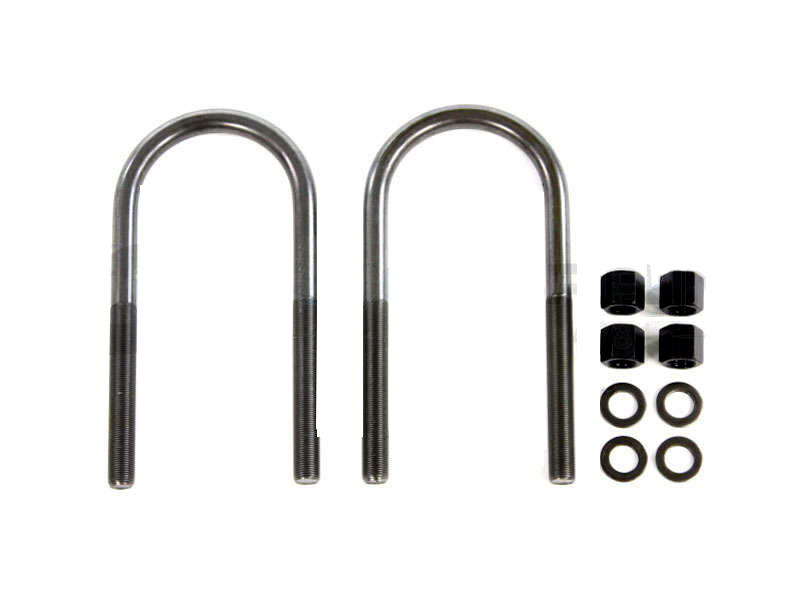 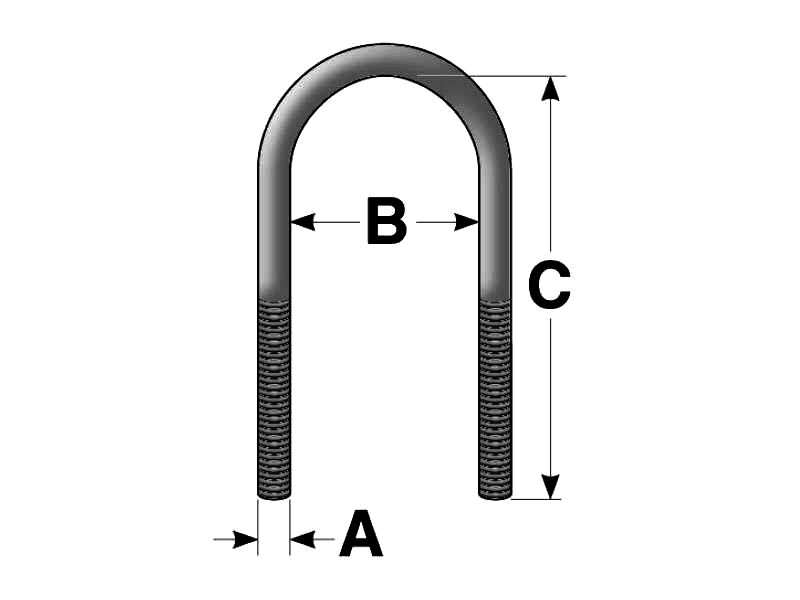 Round U-Bolt Kit with 2 Grade 8 U-Bolts that are 5/8 inches in diameter, 3-5/8 inches wide and 11-1/2 inches long. 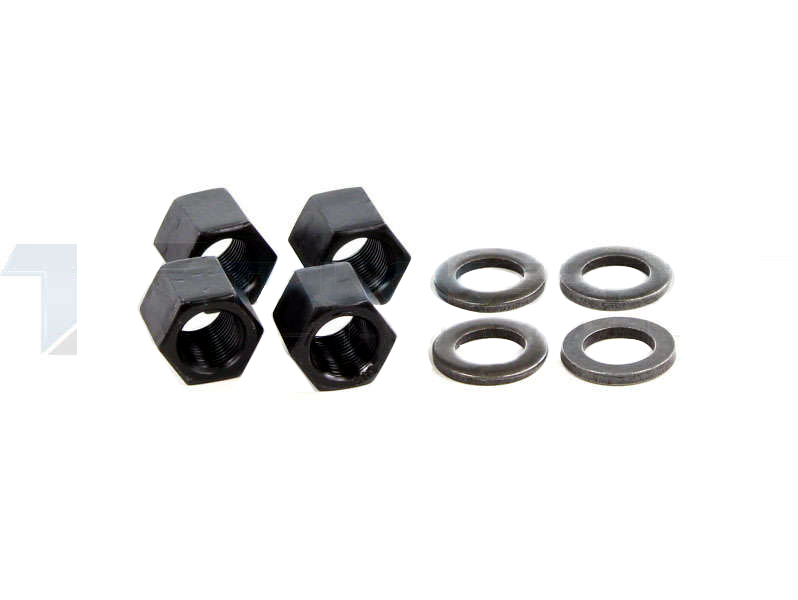 Kits includes 2 U-bolts, nuts and washers. 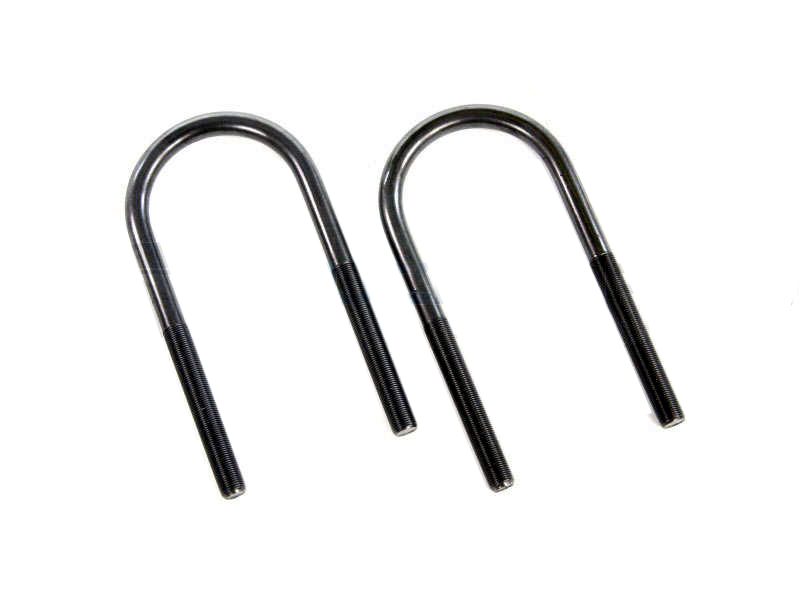 Order one U-bolt kit for each leaf spring.